The Year In Vogue: What Did We See? Now that January ladymag covers are coming out, we can come to some scientific conclusions about the Vogues of 2010. Who made the most covers? Which designers were most favored? Which photographers? 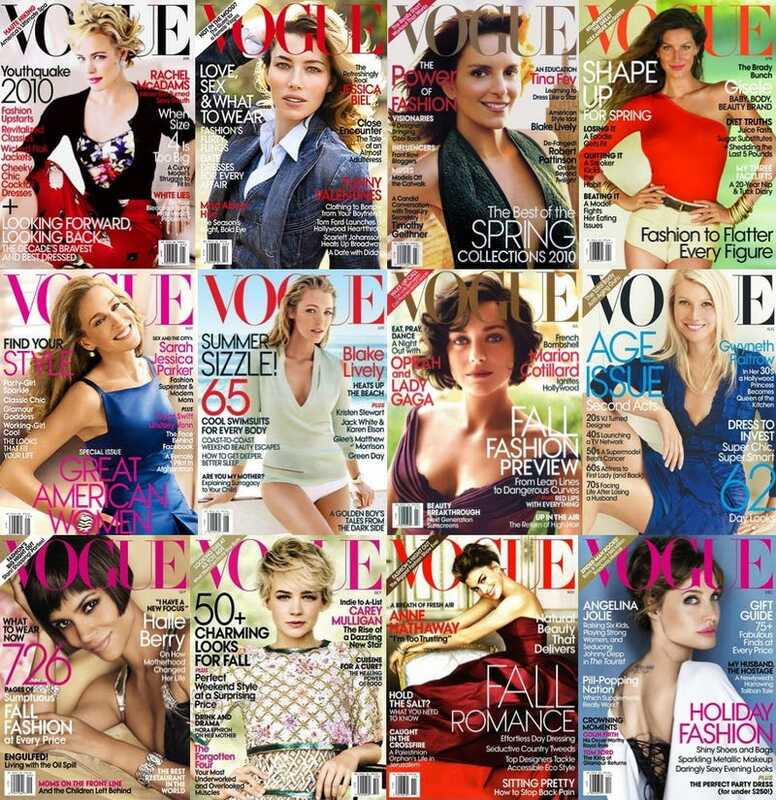 How old was the average Vogue cover subject? and Daphne Groeneveld was the youngest. There's even a handy Typical Vogue Cover mock-up, with the most commonly used model, Natasha Poly, wearing the most commonly used designer, Dolce & Gabbana, and flanked by the most commonly used photographers, Inez van Lamsweerde and Vinoodh Matadin. I actually prefer it to some recent American Vogue covers. Bear in mind, Fashin's numbers include every international edition of Vogue — meaning U.S. Vogue's tepidness, whiteness, and reliance on actresses is more than rounded out by the more creative and model-heavy covers of lower-circulation Vogues, like Paris', Japan's, and Italy's. The 18% non-white cover subjects figure, interestingly, almost exactly matches the percentage of non-white runway models at the last New York fashion week.